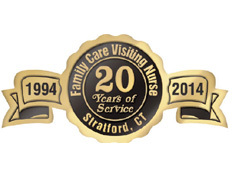 Welcome to Family Care Visiting Nurse and Home Care Agency, LLC. Since its inception in 1994, Family Care has established a unique niche in the home care industry. We provide comprehensive home-based health care services. 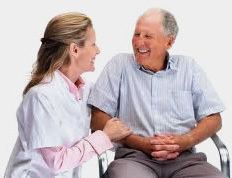 The services are delivered by caring and responsive professionals in the comfort of the client’s home. Our commitment to exceed the expectation of patients and caregivers alike has enabled us to build a name brand reputation within our industry. Today, more than 700 employees provide our services in five locations throughout New Haven and Fairfield counties. Family Care Visiting Nurse and Home Care Agency is a well-established Company with a strong financial status and a proactive management team that understands market trends and maintains accountability to the highest standards. Family Care Visiting Nurse and Home Care Agency, LLC has been awarded the Gold Seal of Approval by The Joint Commission.This is the highest honor awarded by the nation’s leading accrediting body for home health care. we never close, admissions on weekend. Family Care Visiting Nurse is pleased to announce that it has Clinical Liaisons stationed at each of the major hospitals around the state to ensure patients continuity of care, help coordinate transitions from hospital to home, and provides disease state education & teaching to both patients and their families.